But they all depend upon exactly the same fashion adviser . 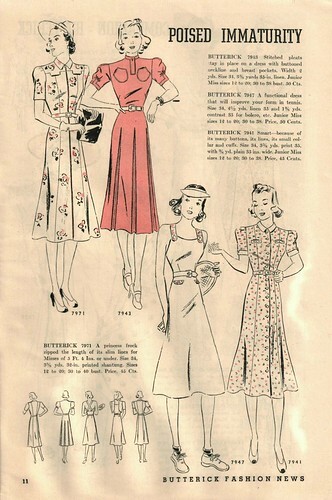 . .
Butterick has never played figure favorites. We believe that the woman of regal stature has just as much potential chic as the saucy young slip of a junior miss. The difference is simply a matter of correct proportion! . . . of choosing clothes wisely according to your particular figure needs. 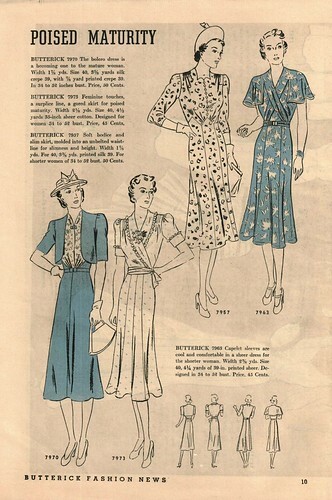 The new Butterick Fashion Magazine gives a place in the summer sun to every one of our famous five figure types we have sketched on this page! Get your copy today and go exploring in it. You’re sure to find the smartest summer wardrobe you have ever owned if you let your fashion adviser guide you . 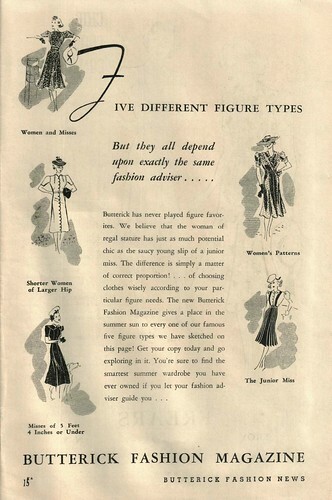 . .
And if you were wondering what those figure types are . . .
Love it! Thanks for posting. Gratifying to see my figure type present... Shorter Women of Larger Hip. Love the description. Much better than Petite Plus Pear. 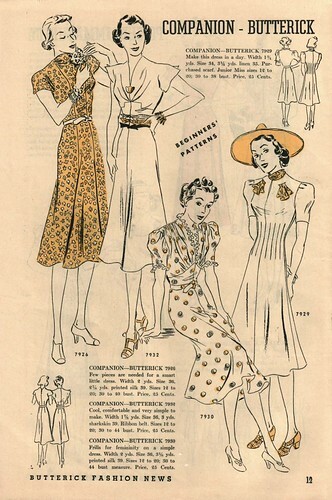 "Do you have anything flattering to the Shorter Woman of Larger Hip, madam?" 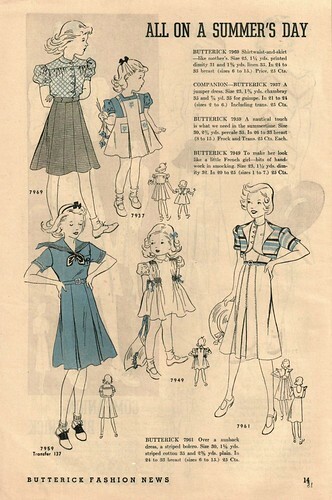 Charmingly wonderful post and series of vintage images (I fall into the Misses of 5'4" and under category myself). Hahaha! 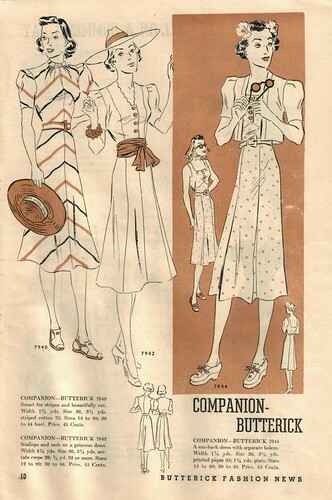 Guess I need to look for patterns for the Shorter Women of Larger Hip next time I feel like trying the 30s! 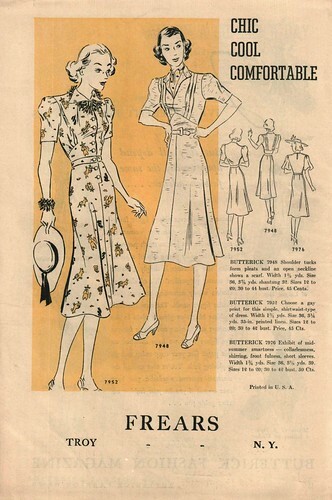 Considering that most of the 1930s fashions seemed designed for women with no hips at all, the ones for "shorter women of larger hip" must have been a refreshing change.